We have been waiting for you. We know who you are. You seek truth. You are ready to change. Make the choices that will lead to your success. We are waiting... Hidden away in Silo 6 by the water's edge, a movement is beginning. Are You Sure? 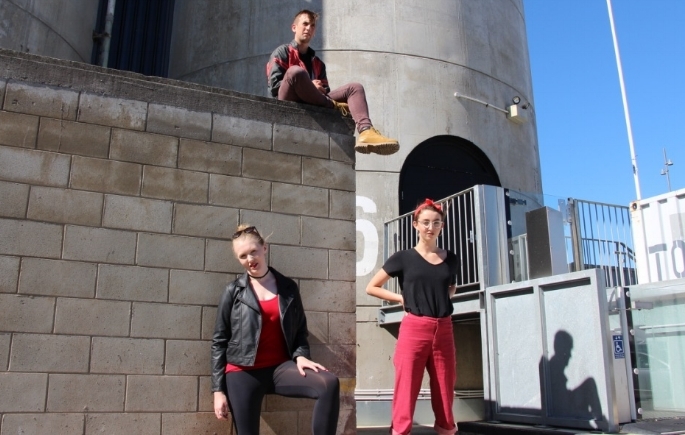 is a choose-your-own adventure theatre experience set in the vast playground of Wynyard Quarter. Be ready to move and explore. Decide where the group will travel, who you want to succeed, and ultimately how it will end.